Who Is Responsible in a Rideshare Car Accident in Florida? Home » Blog » Who Is Responsible in a Rideshare Car Accident? Rideshare companies have revolutionized the way we get around in the modern world. Since Uber was founded in 2009, the industry has made traveling in cities all over the world easier than ever, and creating jobs. Their rise, however, has created growing pains. Cities where taxi service is centralized and has strong economic ties to the community have dealt with clashes between the old and the new. But with this new industry also comes a new set of legal issues. What happens if an Uber or Lyft vehicle is in an accident and there are injuries? Who is liable? Here is a short guide on what to do if you or a loved one is involved in an Uber or Lyft accident. If you get into a wreck with another individual, most people know the drill. The insurance companies determine fault with the help of claims adjusters. These adjusters will look at all the evidence from the accident, including police reports, witness testimonies, pictures, and medical records. They use this information to determine who will pay for the injuries and car damage associated with the crash. If the other driver is driving a company vehicle, then that company’s insurance goes through same process. So who pays when an Uber or Lyft driver is the cause of a car accident? Most rideshare companies have coverage for their drivers that the company provides. Uber offers full liability insurance for their drivers, with the specific intention of helping passengers who were involved in an Uber car accident. This insurance only really becomes available, however, when the application is activated, and the driver is either heading to pick up a rider, or already has one in the car. Lyft has the same policy. When drivers are searching for a passenger, their insurance coverage decreases, and their company’s policies will cover a lot less of the damages, which means that the driver may need to access their own liability coverage to pay claims. And if the driver is using their vehicle personal use, they must use their own insurance. The good news is that most rideshare companies require their drivers to have their own car insurance, including Lyft and Uber. So if you are not able to get the company’s policy to cover your injuries, the driver has their own insurance to do so. What Should I Do If Injured In a Rideshare Accident? After receiving any needed emergency medical attention, it is a good idea to contact a personal injury attorney to help you out with any possible claims. There are a lot of other factors at play other than the many that already exist in a regular car crash, like fault and all the evidence needed to prove it. What was the driver’s status during the car crash? Which insurance companies will I need to talk to? It can get overwhelming. Find an attorney you trust with experience handling car crash cases (and insurance companies) to help you get the full compensation you deserve. Did you or a loved one sustain serious injuries due to a rideshare accident in Florida? Don’t let the medical bills pile up while you wait for the negligent party or their insurance company to do the right thing. Right now, you need an aggressive personal injury attorney on your side, fighting to get you the compensation you need, want, and deserve. The skilled attorneys at Lawlor, White & Murphey represent clients injured in motor vehicle accidents all throughout south Florida. Our toll free number is 855-347-5475, and our local number is 954-525-2345. You can also fill out our online contact form to schedule a free consultation about your case. Our main office is located at 2211 Davie Blvd, Fort Lauderdale, FL 33312. 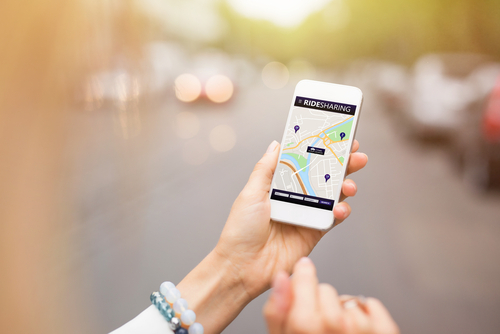 You've Been in an Accident With An Uber in Florida… Now What?